By checking the “I Agree to the Terms of Service” box or accessing or using any part of the Subscription Services, you agree to be bound by these Terms of Service. THESE TERMS OF SERVICE INCLUDE PROVISIONS FOR BINDING ARBITRATION ON AN INDIVIDUAL BASIS – WHICH INCLUDES A WAIVER OF A RIGHT TO A JURY TRIAL OR A RIGHT TO FILE A CLASS ACTION. Authorized Users. The term “Authorized Users” refers to the individuals authorized by Customer to access and use the Services. Content. The term “Content” shall mean all lead generation content, including, but not limited to, residential and commercial property owner information, address, property values, contact information, and other third party hyperlinks in any format such as mp3 audio, text transcription, data, graphics, information, images, audio, visual or audiovisual combinations or other format whether now known or later devised. Platform. The Scanner Fox platform available to Customer at scannerfox.com and/or through Scanner Fox’s related mobile applications. Service Order Form. The term “Service Order Form” refers to the applicable attachment identified as “Exhibit A” to this Agreement that is mutually agreed to in writing by the Parties and contain additional terms that are incorporated by reference into this Agreement. Subscription Services. The term “Subscription Services” refers to the cloud-based subscription services selected by Customer through the Platform or applicable Service Order Form. Updates. The term Updates means any and all bug fixes, patches, and maintenance releases to the Subscription Services. Eligibility. To be eligible to set up an account, you must (a) for personal accounts, be at least 18 years of age or (b) for company accounts, be a duly organized, validly existing entity in good standing under the laws of the place of origin and possess all the necessary authority to enter into this Terms of Service on behalf of the account holder. For personal accounts, a parent or legal guardian may establish an account on behalf of anyone age 13 or over. Subscription Services. Scanner Fox shall provide to Customer the Subscription Services selected by Customer through the Platform or applicable executed Services Order Form. Scanner Fox may provide Updates to the Subscription Services at any time. Authorized Users. All Authorized Users shall be subject to the terms and conditions of this Terms of Service. Customer shall be responsible for maintaining the confidentiality and security of account login credentials and is responsible for any and all activities that occur under Customer’s account. End User License Agreement. During the term of the Subscription Term, Scanner Fox hereby grants Customer a limited, non-exclusive, non-sublicensable, non-transferable, non-assignable, revocable, worldwide license to access and utilize the Subscription Services for the Subscription Term and in accordance with the terms of this Agreement. During the term of the Subscription Term, Scanner Fox grants to Customer a a limited, non-exclusive, non-sublicensable, non-transferable, non-assignable, revocable, worldwide license to install the software specified within the executed Services Order Form within Customer’s designated equipment for purposes of accessing and using the Subscription Services. Customer - Content License and Restrictions. Customer is granted a limited, personal, non-sublicensable, non-transferable, nonexclusive license to use the Content for the sole purpose of identifying and cultivating potential customers for Customer’s products or services. NOTWITHSTANDING THE FOREGOING, CUSTOMER SHALL NOT USE THE CONTENT FOR THE PURPOSE OF COMPETING WITH SCANNER FOX’S SUBSCRIPTION SERVICES, INCLUDING FREE TRIAL SERVICES. CUSTOMER SHALL NOT COPY, REPRODUCE, DISTRIBUTE, TRANSMIT, BROADCAST, DISPLAY, SELL, OR LICENSE ANY CONTENT FOR ANY PURPOSE. CUSTOMER SHALL NOT USE THE CONTENT IN ANY MANNER WHICH VIOLATES OR INFRINGES IN ANY WAY UPON THE RIGHTS OF OTHERS, INCLUDING PRIVACY OR PUBLICITY RIGHTS, OR WHICH OTHERWISE WOULD CONSTITUTE A CRIMINAL OFFENSE, GIVE RISE TO CIVIL LIABILITY OR OTHERWISE VIOLATE ANY APPLICABLE LAW. Scanner Fox - Content License. In the event Scanner Fox’s software is installed within Customer’s designated equipment for purposes of accessing and using the Subscription Services, Customer grants to Scanner Fox a non-exclusive, perpetual, royalty-free, fully paid license to use the Content received through Customer’s designated equipment for any purpose, commercial or otherwise. CONTENT DISCLAIMER AND ASSUMPTION OF THE RISK: Scanner Fox is not responsible for the accuracy, usefulness, safety or the intellectual property rights of, or relating to, any Content. SCANNER FOX IS NOT RESPONSIBLE FOR THE CONTENT OBTAINED FROM THIRD PARTY DISPATCH TRANSMISSIONS AND BROADCASTS AND DOES NOT EDIT SUCH CONTENT IN ANY MANNER. CONTENT MAY CONTAIN OBJECTIONABLE, OBSCENE, OFFENSIVE, VULGAR AND OTHERWISE INAPPROPRIATE SUBJECT MATTER. SCANNER FOX SHALL NOT BE LIABLE FOR ANY LOSS OR DAMAGE ARISING FROM ANY CONTENT PROVIDED AS PART OF THE SUBSCRIPTION SERVICES AND CUSTOMER ASSUMES THE RISKS ASSOCIATED WITH RECEIVING CONTENT AS PART OF THE SUBSCRIPTION SERVICES. Subscription Services Ownership. 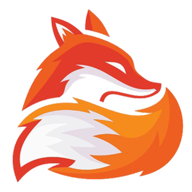 Scanner Fox and its licensors own and retain all right, title, and interest, including all intellectual property rights, in and to the Subscription Services and Platform, including any improvements, modifications, and enhancements to it. Except for the rights expressly granted in this Agreement, Customer shall acquire no other rights, express or implied, in or to the Subscription Services and Platform, and all rights not expressly provided to Customer hereunder are reserved by Scanner Fox. Feedback License. We consider any suggestions, ideas, proposals or other material submitted by users, whether solicited or unsolicited, (collectively, the "Feedback") to be non-confidential and non-proprietary. We shall not be liable for the disclosure, use or exploitation of such Feedback. You hereby grant to Scanner Fox a worldwide, non-exclusive, perpetual, irrevocable, royalty-free and transferable right and license to incorporate, use, publish and exploit the Feedback for any purpose whatsoever, commercial or otherwise, without compensation or accounting. Promotional License. Customer grants to Scanner Fox a license to use Customer’s name and logo to market and promote the Subscription Services. This includes the worldwide right to copy, translate, broadcast, transmit, distribute, exhibit, perform, publish and display Customer’s name and logo as incorporated into Scanner Fox’s marketing and promotional materials. Scanner Fox is granted no other rights to Customer’s trademarks and acknowledges that it shall not gain any proprietary interest in Customer’s trademarks. Scanner Fox is under no obligation to make use of or to provide compensation for any of the rights or permissions granted. Scanner Fox shall be the exclusive owner of all right, title, and interest, including copyright, in Scanner Fox’s marketing and promotional materials. This license may be terminated at any time with thirty (30) days written notice to: team@scannerfox.com. Free Subscriptions/Free Trials/Beta Services. If Customer has initiated Subscription Services by selecting a Free Subscription, Free Trial or other Beta Services (“Free Trial”), such Free Trial services will be available to Customer free of charge until earlier of (a) the date on which the term of the Free Trial service expires or is terminated, or (b) the start date of any paid Subscription Services plan. Paid Subscriptions Services are subject to the terms and conditions in effect upon purchase of the applicable subscription. Fees & Payment. To the extent Customer selects, or upgrades to, a paid Subscription Services tier, Customer expressly authorizes Scanner Fox to charge the applicable recurring Subscription Service fees associated with the subscription tier selected by Customer on the Platform or designated in the applicable Services Order Form (“Subscription Fees”) pursuant to the authorized payment method provided by Customer. Subscription Term. The term of the Subscription will commence on the date the Subscription Services tier is selected and shall continue for the periodic subscription term chosen by Customer on the Platform (“Subscription Term”), and any renewal thereof, until terminated pursuant these Terms of Service. Additional Fees. Customer shall be responsible for any additional fees for set-up, installation and equipment as selected through the Platform or pursuant to a mutually executed Services Order Form, pursuant to the payment terms set forth therein. Late Payments. Scanner Fox reserves the right to suspend or terminate the Subscription Services for payments of any fees that are more than ten (10) days past due. Past due payments will accrue interest at the greater of 1.5% monthly or the highest interest rate allowable under applicable law. No Refunds. Subscription Fees will not be prorated upon cancellation and/or termination and all fees paid through the date of termination are nonrefundable. Taxes. Customer is responsible for paying any applicable governmental sales, use, value-added, commodity, harmonized and other taxes imposed on purchase of the Subscription Services or any related equipment. To the extent Scanner Fox is required to collect such taxes, the applicable tax will be added to Customer’s billing account. Subscription Services Automatic Renewal. Subscription Services will automatically renew for additional periods equal to the expiring Subscription Term, unless either Party gives the other notice of non-renewal at least ten (10) days before the end of the applicable Subscription Term. The fees for the automatic renewal term will be the same as that during the immediately prior term (exclusive of any promotional discounts) unless Scanner Fox provides prior written notice of a fee increase prior to the expiration of the next recurring Subscription Term. To cancel the Subscription Services renewal, Customer must email Scanner Fox at least ten (10) days at team@scannerfox prior to the applicable renewal date. Use Restrictions. Customer will not, directly or indirectly, alter or modify the Subscription Services or Platform, or reverse engineer, decompile, disassemble or otherwise attempt to discover the source code, object code or underlying structure, ideas, know-how or algorithms relevant to the Subscription Services, Platform or any software, documentation or Content related to the Subscription Services or Platform. Content provided to authorized users is confidential and forwarding content is strictly prohibited without written consent from Scanner Fox. Non-Disclosure Obligation. Scanner Fox shall not disclose any Confidential Information to any third party for any reason without your prior written consent, other than its employees or agents who have a need to know about such information in order to provide the Subscription Services. Required Disclosure. In the event Scanner Fox is requested or required by legal process to disclose any of the Confidential Information, Scanner Fox shall give Customer prompt notice so that you may seek a protective order or other appropriate relief prior to any such disclosure. In the event that such protective order is not obtained, Scanner Fox shall disclose only that portion of the Confidential Information that its legal counsel advises that it is legally required to disclose and shall work with the owner of such Confidential Information to minimize the extent and effect. Injunctive Relief. Both parties understand and agree that money damages will not be a sufficient remedy for any breach of Scanner Fox’s confidentiality obligations under this Section, and that Customer shall be entitled to seek equitable relief, including injunction and specific performance, as a remedy for any such breach. Such remedies will not be deemed to be the exclusive remedies for a breach by Customer, but will be in addition to all other remedies available to Customer at law or in equity. Customer Support. Technical support will be provided in accordance with the terms of the Subscription Services tier selected by Customer or otherwise in accordance with an executed Services Order Form. Customers should email Scanner Fox at team@scannerfox.com for customer support and assistance. Scanner Fox will respond to Customer’s email inquiries within a reasonable timeframe. Authority. Each Party has all requisite power and authority to execute, deliver, and perform its obligations under this Terms of Service. Compliance with Applicable Laws. Each Party shall comply with all laws or regulations applicable to the (a) performance of its obligations under this Terms of Service, and (b) use of any Content distributed through the Subscription Services. Export Compliance. Subscription Services may be subject to export laws and regulations of the United States and other jurisdictions. Each Party represents that it is not named on any U.S. government denied-party list. Customer shall not permit access or use any Subscription Services in a U.S. embargoed country or in violation of any U.S. export law or regulation. Automatic Termination. This Terms of Service shall automatically terminate, without notice, (i) upon the institution by or against either party of insolvency, receivership or bankruptcy proceedings or any other proceedings for the settlement of either party’s debts, (ii) upon either party making an assignment for the benefit of creditors, or (iii) upon either party’s dissolution or ceasing to do business. Breach. Either Party may terminate this Terms of Service if the other Party breaches any material provisions of this Terms of Service and fails to cure such breach within ten (10) days after receipt of written notice of such breach. Survival. The following Sections survive termination of this Terms of Service: Individual Binding Arbitration, Promotional License, Feedback License, Confidentiality & Non-Disclosure, Disclaimer of Warranties, Indemnity, Limitation of Liability, and Choice of Law. Individual Binding Arbitration. EXCEPT AS OTHERWISE STATED HEREIN, any claim or controversy with Scanner Fox arising out of or relating to the Platform, Services and/or this Agreement (including its formation, interpretation, performance and breach) shall be settled by binding arbitration administered within the U.S. by the American Arbitration Association in accordance with its Commercial Arbitration Rules or outside of by the U.S. International Centre for Dispute Resolution in accordance with its International Arbitration Rules, both excluding any rules or procedures governing or permitting class actions. Any judgment on the award rendered by the arbitrator(s) may be entered in any court having jurisdiction thereof. The Federal Arbitration Act shall govern the interpretation and enforcement of this Agreement. Exception – Small Claims Court Claims. Notwithstanding the Parties’ agreement to resolve all disputes through arbitration, either party residing within the United States may seek relief in small claims courts for disputes or claims within the scope of that court’s jurisdiction. DISCLAIMER OF WARRANTIES. UNLESS OTHERWISE STATED HEREIN AND TO THE EXTENT PERMITTED BY APPLICABLE LAW, THE SUBSCRIPTION SERVICES AND CONTENT INCLUDED ON OR OTHERWISE MADE AVAILABLE TO YOU THROUGH THESE TERMS OF SERVICE ARE PROVIDED ON AN “AS IS” AND “AS AVAILABLE” BASIS. SCANNER FOX DOES NOT REPRESENT OR WARRANT THAT THE SUBSCRIPTION SERVICES OR CONTENT PROVIDED THEREIN (I) WILL BE UNINTERRUPTED, TIMELY OR SECURE, (II) WILL BE FREE OF DEFECTS, INACCURACIES OR ERRORS, (III) WILL MEET YOUR REQUIREMENTS, OR (IV) WILL OPERATE IN THE CONFIGURATION OR WITH OTHER HARDWARE OR SOFTWARE YOU USE. EXCEPT WHERE PROHIBITED BY LAW, SCANNER FOX EXPRESSLY DISCLAIMS ANY AND ALL REPRESENTATIONS, WARRANTIES OR CONDITIONS OF ANY KIND, EXPRESS OR IMPLIED, INCLUDING, BUT NOT LIMITED TO, IMPLIED WARRANTIES OF FITNESS FOR A PARTICULAR PURPOSE, MERCHANTABILITY AND NON-INFRINGEMENT, AND WILL NOT BE LIABLE FOR YOUR USE OF OR RELIANCE ON THE SUBSCRIPTION SERVICES AND/OR CONTENT. DISCLAIMER OF THIRD PARTY CONDUCT: SCANNER FOX DISCLAIMS ANY AND ALL LIABILITY FOR CONTENT RECEIVED FROM, AS WELL AS THE ACTS, OMISSIONS AND CONDUCT OF, ANY THIRD PARTIES, IN CONNECTION WITH OR RELATED TO YOUR USE OF THE SUBSCRIPTION SERVICES AND CONTENT. TO THE EXTENT PERMITTED BY APPLICABLE LAW, SCANNER FOX MAKES NO WARRANTIES REGARDING THE SUBSCRIPTION SERVICES AND CONTENT, OR ANY OTHER THIRD PARTY SERVICES, GOODS, RESOURCES AND INFORMATION INCLUDING, WITHOUT LIMITATION, WARRANTIES OF FITNESS FOR A PARTICULAR PURPOSE, MERCHANTABILITY AND NON-INFRINGEMENT AND WILL NOT BE LIABLE FOR YOUR USE OF OR RELIANCE ON SUCH OTHER THIRD PARTY SERVICES, GOODS, RESOURCES OR INFORMATION. LIMITATION OF LIABILITY: YOU EXPRESSLY AGREE THAT YOUR USE OF THE SUBSCRIPTION SERVICES AND CONTENT IS AT YOUR SOLE RISK. NEITHER SCANNER FOX NOR ANY OTHER PARTY INVOLVED IN CREATING, PRODUCING, OR DELIVERING THE SUBSCRIPTION SERVICES AND CONTENT WILL BE LIABLE TO YOU OR ANY THIRD PARTY FOR ANY CONSEQUENTIAL, INCIDENTAL, INDIRECT, EXEMPLARY, PUNITIVE OR SPECIAL DAMAGES (INCLUDING DAMAGES FOR LOST PROFITS, SECURITY BREACH, LOST DATA OR LOSS OF GOODWILL) ARISING OUT OF, RELATING TO OR CONNECTED WITH THE USE OF THE SUBSCRIPTION SERVICES AND CONTENT, EVEN IF SCANNER FOX HAS BEEN ADVISED OF THE POSSIBILITY OF SUCH DAMAGES. TO THE EXTENT PERMITTED BY APPLICABLE LAW, IN NO EVENT WILL SCANNER FOX’S AGGREGATE LIABILITY, OR THAT OF ITS OFFICERS, DIRECTORS, EMPLOYEES AND AGENTS, ARISING OUT OF OR IN CONNECTION WITH YOUR USE OF, OR OF THE INABILITY TO USE, THE SUBSCRIPTION SERVICES AND CONTENT, EXCEED THE FEES PAID FOR THE SUBSCRIPTION TERM IN EFFECT FOR THE DISPUTE GIVING RISE TO THE CLAIM. Future Functionality. Customer agrees that its selection, registration and use of the Subscription Services is not contingent on the delivery of any future functionality or features, or dependent on any oral or written public comments made by Scanner Fox regarding future functionality or features. INDEMNITY. To the maximum extent permitted by law, Customer agrees to indemnify, defend and hold harmless Scanner Fox, and its Scanner Fox subsidiaries, affiliates, officers, directors, shareholders, employees, representatives, agents, volunteers, attorneys, managers, licensors, business partners and each of their respective successors and assigns (the “Indemnified Parties”) from and against all damages, losses, liabilities, claims, expenses, fees or costs (including, without limitation, reasonable attorneys’ fees and costs) incurred in connection with any claim, demand or action brought or asserted against any of the Indemnified Parties arising out of or relating to Customer’s (i) use of the Subscription Services and Content (ii) breach of this Terms of Service, (iii) violation of any third party right, including without limitation any intellectual property right, publicity, property or privacy right, (iv) a breach of Customer’s representations or warranties under this Terms of Service, and/or (v) a breach of Customer’s obligations under applicable law. Force Majeure. Scanner Fox will not be liable or responsible for any delays in providing the Subscription Services, or for failing to provide the Subscription Services, as a result of any event beyond its reasonable control, including, without limitation, adverse weather conditions, internet outage or interruption of service, telecommunications or utility outage, fire, flood, civil disobedience, terrorism, labor disruptions, strikes, lockouts, freight, embargoes, terrorism, natural disaster, denial of service attacks, war or acts of God. No Agency. No agency, partnership, joint venture, employee-employer, or franchisor-franchisee relationship is intended or created by this Terms of Service. Severability. The validity or unenforceability of any provision of this Terms of Service shall not affect the validity or enforceability of any other provision of this Terms of Service. Modifications. Our employees, volunteers or agents are not authorized to vary this Agreement. No modification of this Agreement shall be effective unless it is in writing and either signed by an authorized representative of Scanner Fox or posted on the Platform. Choice of Law. This Terms of Service shall be governed by and construed and enforced in accordance with the laws of the State of Texas without regard to or application of Texas’ conflict of law principles. The parties consent to the jurisdiction of the State of Texas, and venue Travis County, with regard to any controversy or claim arising out of or relating to this Terms of Service, or the breach thereof. Assignment. Neither Party shall assign any of the rights or obligations under this Terms of Service without the prior written consent of the other Party, which consent shall not unreasonably be withheld. However, consent is not required for an assignment of this Terms of Service in connection with a change of control, merger, stock transfer, sale or other disposition of substantially all the assets of the assigning Party’s business. Successors and Assigns. This Terms of Service is binding on and inures to the benefit of the Parties and their respective successors and permitted assigns. No Waiver. No failure or delay by a Party exercising any right, power or privilege under this Terms of Service will operate as a waiver thereof. Interpretation. Headings are for reference purposes only and do not limit the scope or extent of such section. Notices. All notices required or permitted to be given under this Terms of Service will be in writing and delivered to: Scanner Fox at: First Notice, LLC at 9415 McNeil Dr. #737, Austin, Texas 78750 and by email to team@scannerfox.com. All notices will be sent to Customer to the email address associated with their account or will be conspicuously posted on the Platform. Entire Agreement. This Terms of Service, along with any executed Services Order Form, comprises the entire agreement between the Parties and supersedes all prior or contemporaneous agreements, written or oral, between the Parties regarding the subject matter contained herein.